Some free VSTi try to emulate (more or less faithfully) the sound of the Roland Juno‘s synths (Juno 60, Juno 106 & Juno 6). All these synths were and are still popular. The Juno 106 were used by Acrid Abeyance and can also be heard in countless techno trax. Available in 32 & 64 bit for Windows and MAC OS X (in VST & AU format). The best VSTi to get Juno60ish sounds, trust the chorus ! trust the chorus. dont forget to check out the other plugins by TAL, the chorus is available as a separate VST effect ! Check the “power pad” preset : the sound is full. Great for bass and pad, few controls for easy tweaking. Pump up the bass! Available for Windows (32 bit). A virtual recreation of the Roland Juno 6, there are some nice pads in the presets. + a simple and effective arpeggiator and a delay effect. It’s great for pads, and can do some good bass too. and if the chorus isn’t “fat” enough for you, there’s also a unison. When the unison is on, the synth turns to monophonic mode. A synthedit creation (Windows 32 bit only). 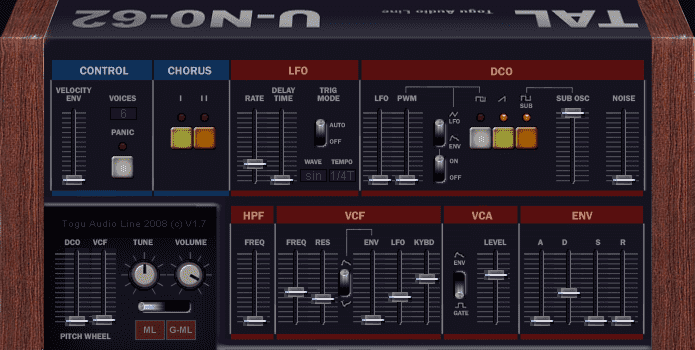 This free VST from GTG is an emulation of a Juno6, it sounds very good. The first bass preset is my favorite ! full persuaders attitude. It’s great for bass & pads. Great smooth silky chorused sound. 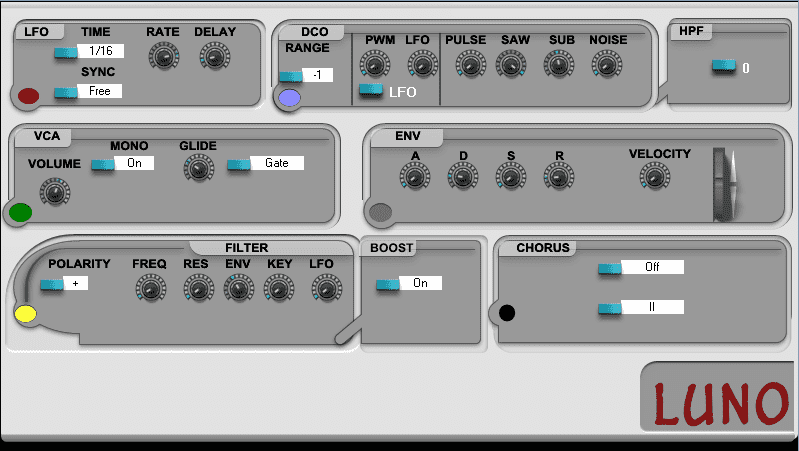 A VST emulation of the Juno 106, created with Synthedit. Nice look, doesn’t sound bad. You can do bass , lead & pads very quickly. here’s the bonus track ! 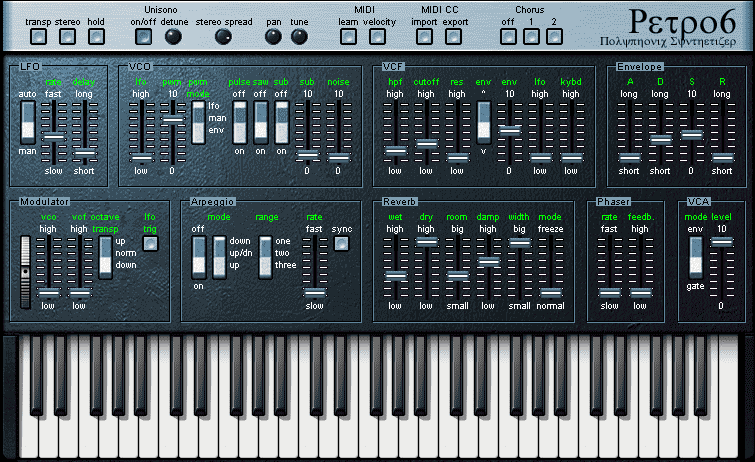 a VST emulation of the Juno 106. It’s pretty simple and comes with 40 presets. You can tempo sync the LFO. This entry was posted in Presets, VST plugins and tagged emulation, freeware, JUNO, synth on 28 October 2014 by Wavosaur.